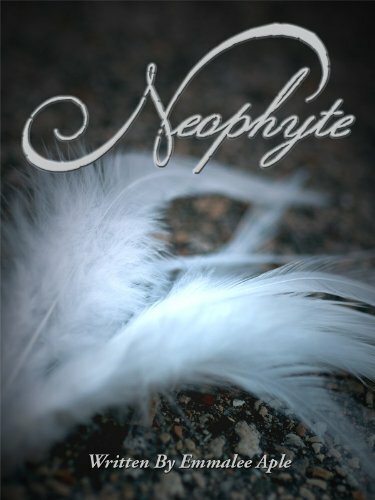 Neophyte is a YA paranormal romance novel about a high school senior named Addisyn who died two years ago and became an angel-in-training. She now spends her afterlife in a beach house with five male angels, called her Link, where they teach her the ropes of angelhood. One of them has been Addisyn’s best friend since her living days, and another is her love interest, Greysan. Addisyn’s existence is filled with the usual YA dramas of finishing high school and going to prom. Neophyte oozes with teenage anguish and trivial outrage. Addisyn’s Link won’t tell her anything about what’s going on, and she gets, like, huffy about it. Frequently huffy. Her Link also interrupts her when she’s trying to kiss the gorgeous Greysan. More sinister machinations involve a fallen angel who wants her and Greysan for his Link. She makes a string of poor choices ending in a battle of angelic proportions, where one of her protectors make the ultimate sacrifice to protect her. I have a weakness for unique fantasy worlds. Neophyte is a delight with its angels-among-us premise. It confirms that male angels are handsome and the afterlife has politics. I wanted to know more of its magical minutiae, and would like to see more details sprinkled throughout the dialogue, narrative, and action sequences. At the end of the story, Addisyn appears to have no clue why she became an angel and how to assume the responsibilities of angelhood. Neophyte suffers from mechanics that pulled me out of the story-not a fatal flaw-a thorough editing would fix these. In all, Neophyte is a great début novel with an intriguing fantasy world surrounding an angst-ridden teenager. This entry was posted in Reviews and tagged afterlife, Amazon, angel, angels, Burke, Ebook, Emmalee Aple, fallen angel, fantasy, fantasy novel, fantasy worlds, Goodreads, Indie, Lita Burke, Neophyte, proofreading, teen angst, YA paranormal romance on May 6, 2012 by Lita Burke.